Based in England since 1880, Stephenson Personal Care has been producing quality melt and pour soap bases for decades. 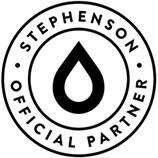 Essentials by Catalina is proud to announce our new status as a West Coast distribution partner for the Stephenson line of melt and pour soap bases. Stephenson Crystal' Melt and Pour Soap qualifies for free shipping on orders over $250.00, same as Essentials by Catalina bases. Feel free to mix and match! Local customers may will-call an order at our Southern California location. Please allow one full day to process an order before pick-up. Ease of ordering all your bath and body supplies from one supplier. From bottles and caps to extracts and fragrances, a plentiful variety of personal care components are ready to be ordered and delivered in one convenient shipment.